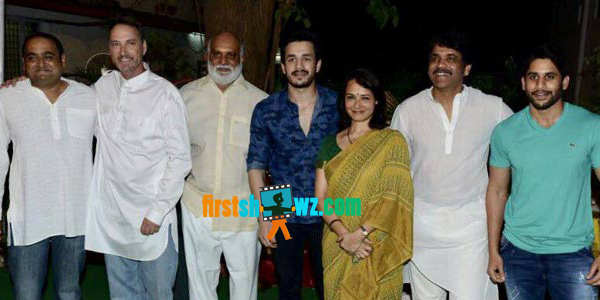 Akkineni lad Akhil’s second movie has been launched on Sunday with a formal puja ceremony, and the regular shoot has commenced today. Akhil has taken a break after his debut debacle and is making his relaunch with this Vikram Kumar directorial. Akhil, Vikram Kumar film is going to be a romantic entertainer with some surprising elements. The regular shooting schedules have commenced and details of the cast and crew are to be announced. Nagarjuna is producing the movie under Annapurna studios banner, while music director Anup Rubens and cinematographer P S Vinod are roped in for the film.